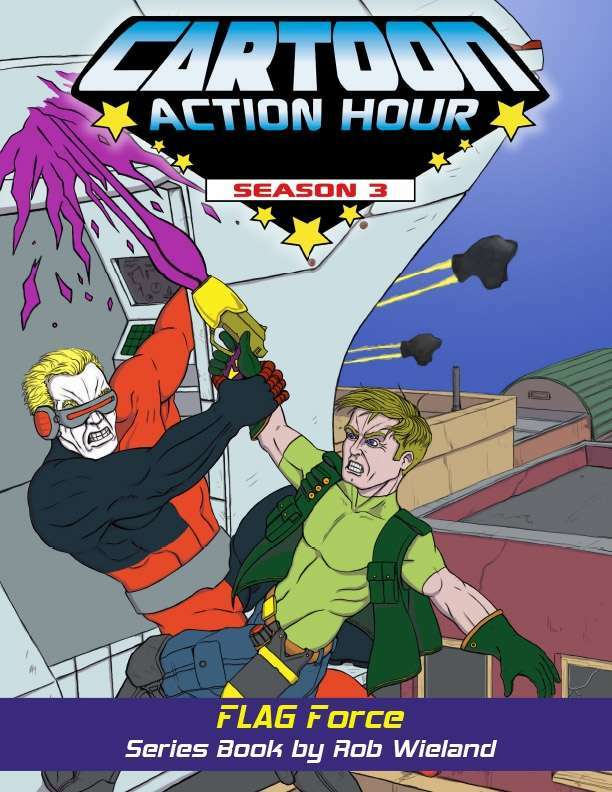 In this Cartoon Action Hour: Season 3 series book by Rob Wieland, we follow an international team of heroes that fights against the Starmada, an alien race that has taken over the world and continues to oppress the human race. Even armed with their wits, skills and bravery, the protagonists find themselves in an uphill battle when faced with superior technology and numbers. Can they overcome the odds to rid Earth of its conquerors from outer space? Cartoon Action Hour: Season 3 is the third edition of the game that was nominated for "Best RPG" at the 2004 Origins Awards. The game faithfully and meticulously emulates the action-adventure cartoons of the 1980s, using "cartoon logic" as the basis for every aspect of the system. This is not just a universal game that just happens to be adorned with genre-appropriate art. Every single design decision was made with the purpose of bringing to life the retro-toons of yesteryear, right at your gaming table.